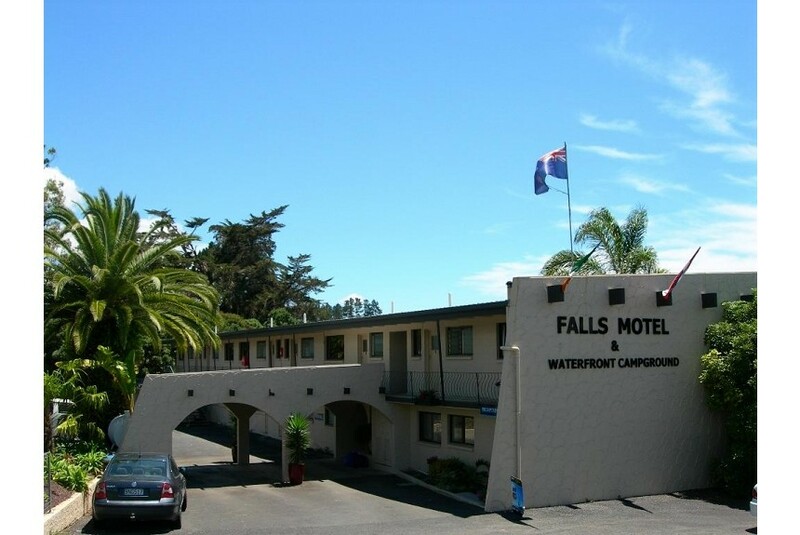 Falls Motel & Waterfront Campground features an outdoor pool, a gas barbecue area and private beach facilities. Located just 4 km from central Paihia, the property offers rooms with free Wi-Fi access (100MB/day) and views of the Waitangi Lagoon. Free parking is provided on site. Heated rooms are fitted with a work desk, a DVD player and a flat-screen TV. Guests can prepare simple meals at the attached kitchenette which comes with a microwave, a fridge and stove. Guests enjoy access to the private beach area, and they can hire kayaking equipment at a charge. The staff at the tour desk can help to organise boat tours and trips to the Bay of Island. A self-service laundry facility is available. Motel Falls & Waterfront Campground is a 5-minute drive from dining options in Paihia, and a 15-minute drive from the Kerikeri Airport. The Haruru Falls and the Waitangi Reserve are both a 5-minute drive away.